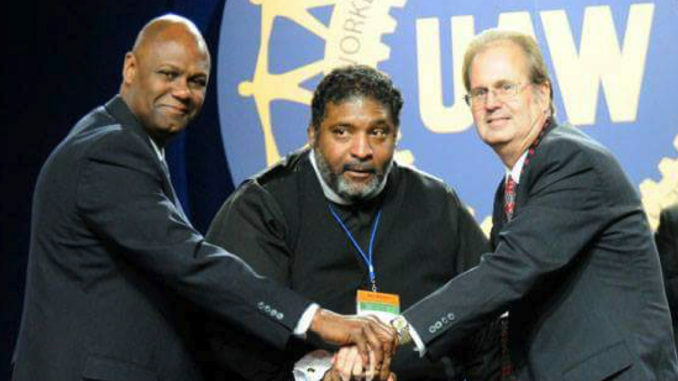 UAW Secretary-Treasurer Ray Curry, Reverend William Barber II, and UAW President Gary Jones stand in solidarity following Rev. Barber's speech on equality. Earlier this year, Curry was elected UAW’s Secretary-Treasurer. He said the importance of organized labor can also be realized in the voice of freedom fighters like Maryland Democratic Rep. Elijah Cummings, who has continued to speak in favor of unions, a message Cummings delivered during the recent Congressional Black Caucus Foundation’s Annual Legislative Conference. It’s important that African Americans and other minorities understand the significance of Curry’s election to the Daimler Supervisory Board because labor representation has always been vital for all workers and with voices sought in numerous places, having diversity in the United States and in host countries could go a long way in securing the livelihoods of employees, Curry said. “The board is a reflection of the corporation’s global footprints and there’s a commitment… to diversity,” he said. Despite its already rich history of supporting civil rights and other causes that have allowed them to partner with numerous minority groups, the UAW plans to continue to strengthen its relationship with historically Black colleges and universities and the Black Press, Curry said. “We believe African-American newspapers need to be amplified. 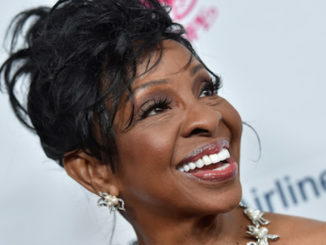 We have utilized a number of papers in the past including the Jackson Advocate and the Chronicle in Detroit as media outlets in our member messaging and organizing efforts.” he said. UAW Leader on Civil Rights and Black Labor | – Yahabari..Afro American Aggregated News Wire !